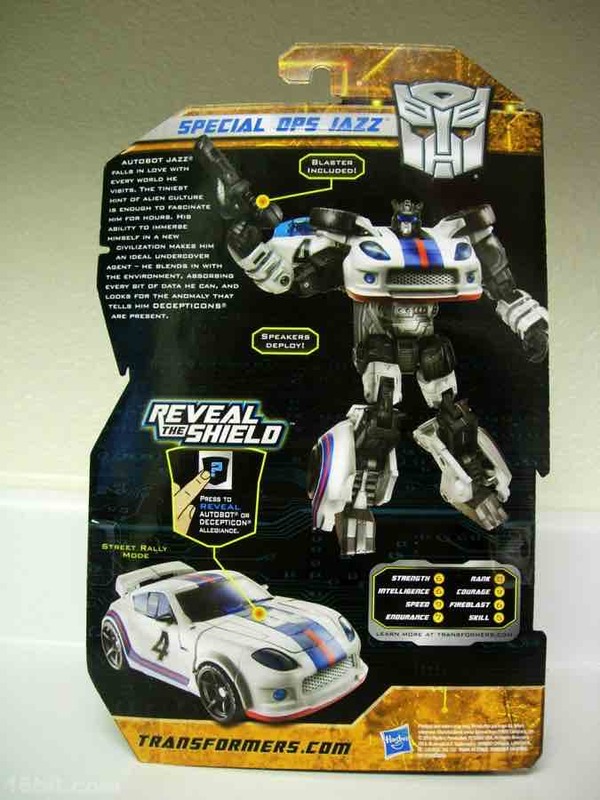 There's no exaggeration when I say it feels like it has been forever since Hasbro released a new version of Jazz, specifically Special Ops Jazz. 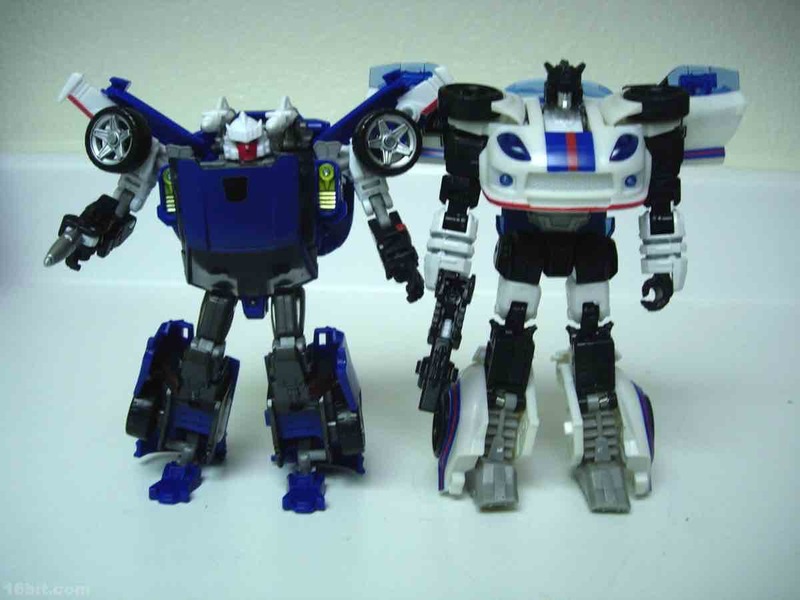 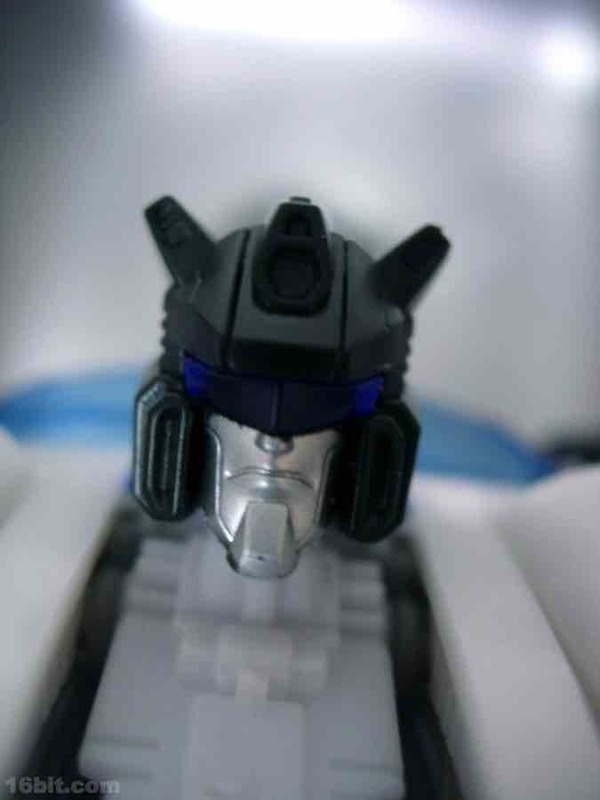 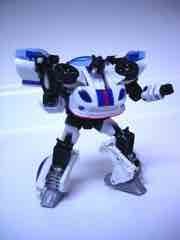 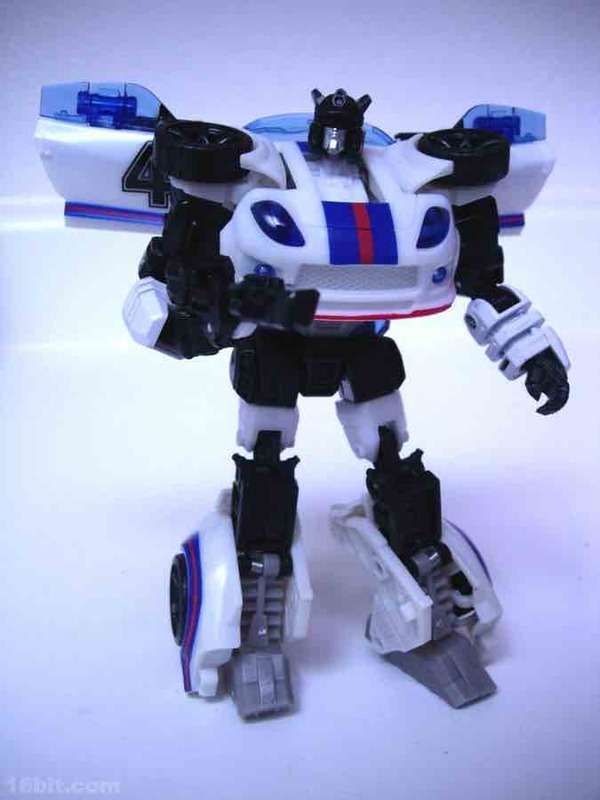 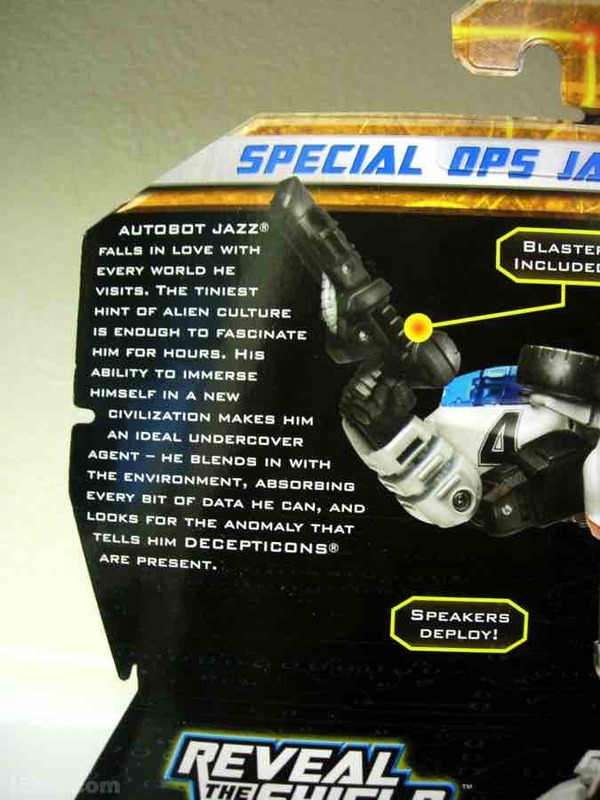 Sure, we got an Alternators toy called Meister and an evil alternate universe convention exclusive, a tiny Legends toy, plus some movie toys, but nothing was clearly meant to be the original Jazz character. 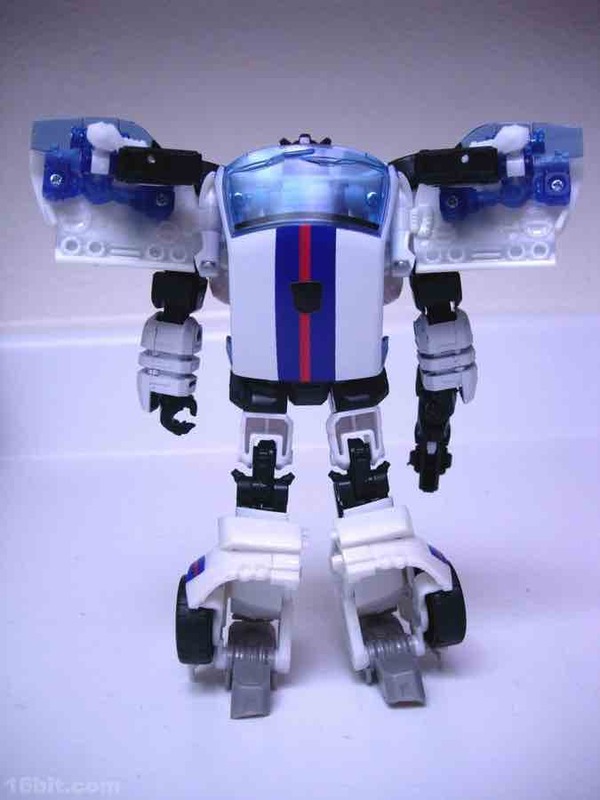 Until this one-- Hasbro held out until its third line of "classics" Transformers to bring Optimus Prime's right-hand-man-who-is-not-Prowl back to stores, and the end result is good-- not the second coming, like you may have read, but he's certainly a good attempt and a lot of fun for the asking price. 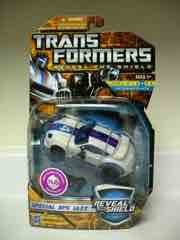 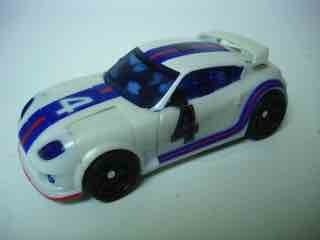 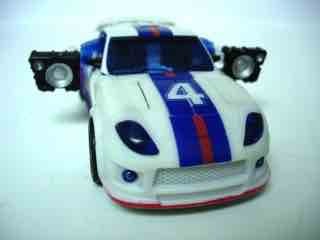 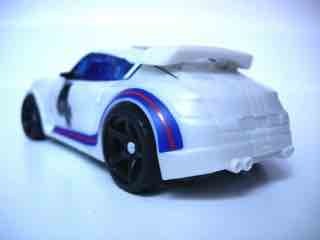 Packaged in car mode, his vehicle form looks more like the Pontiac Solstice than a Porsche like his original toy. 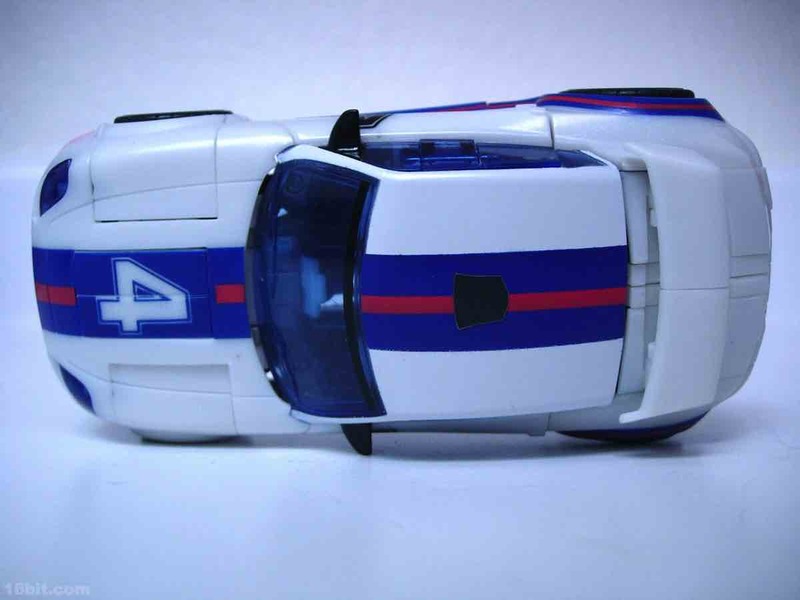 Since automotive licenses cost money and Porsche are a bunch of humorless jerks who don't license "war toys," Hasbro instead opted for a design that is close to the original Jazz toy but not identical. 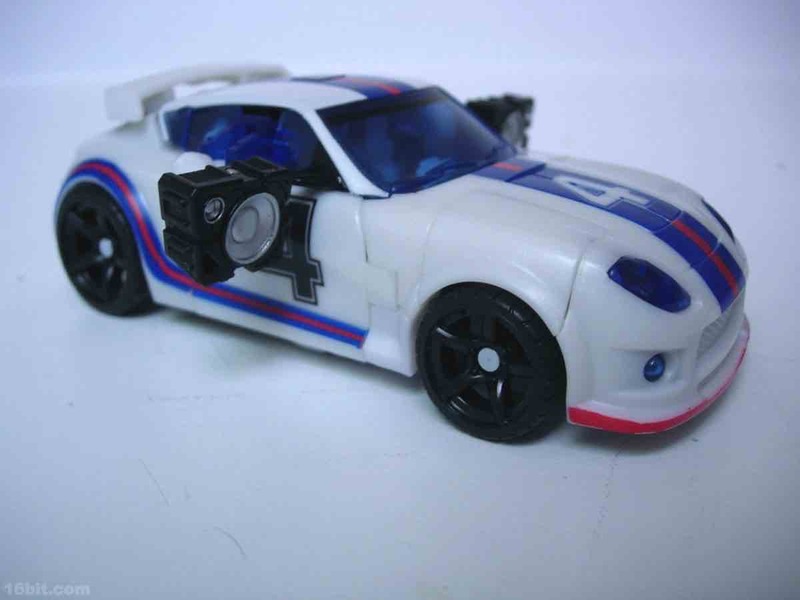 Gone are the light blue stripes on the original, but dark blue and red markings remain, as does his "4" on the hood and the doors. 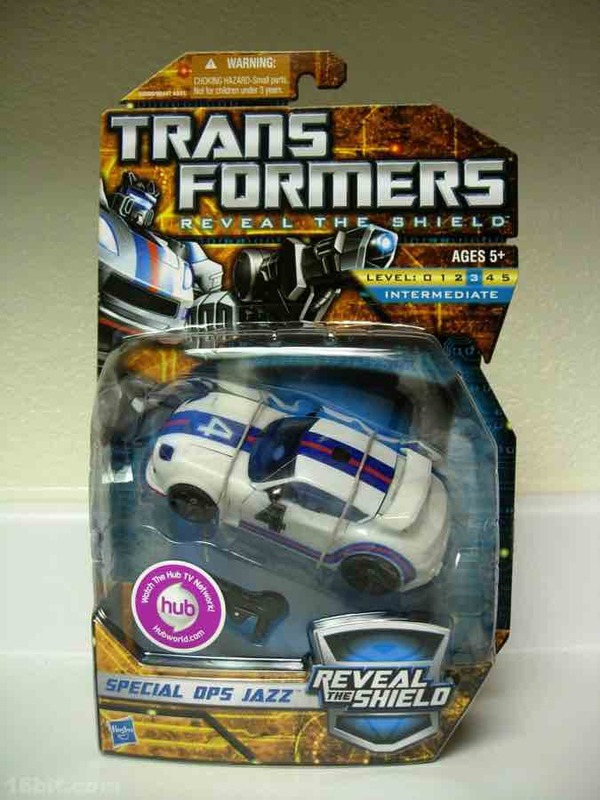 It is, quite literally, close enough for jazz. The wheels roll well and the car has a bonus action feature-- the doors open and the windows rotate, revealing c-clamp mounted speakers which hang out his doors to annoy Decepticons and disrupt sonic transmissions and such. 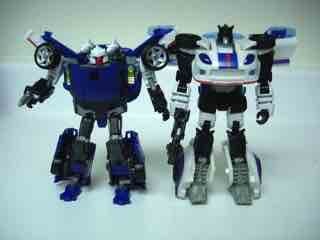 It's a heck of a nice touch, one adapted largely from the original cartoon series. Transformation is not simple, but fairly straightforward-- his legs have a lot going on, so you might want to consult the instruction sheet due to the vast amount of moving parts. 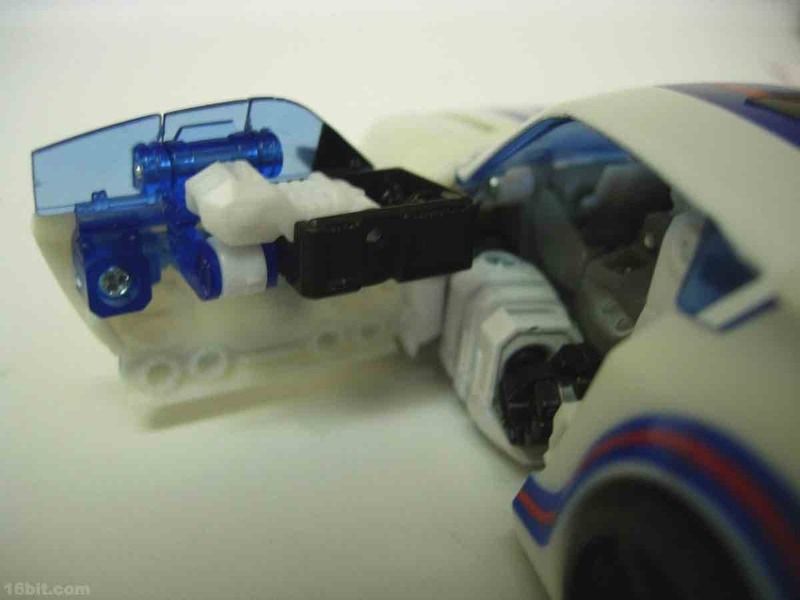 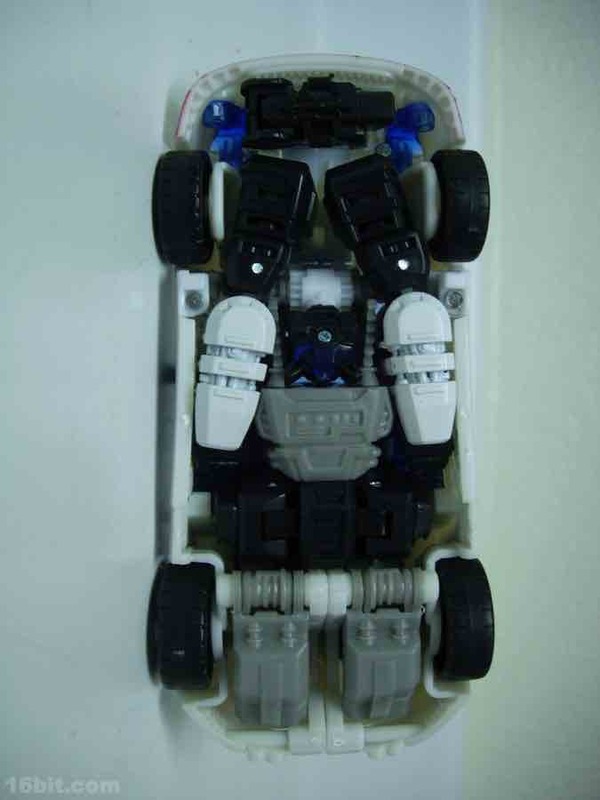 It's not "Alternators" complicated, but it's plenty complex and there are some spring-loaded and geared pieces involved in his transformation. 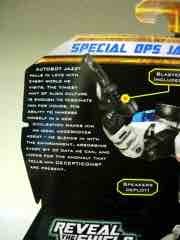 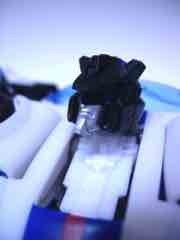 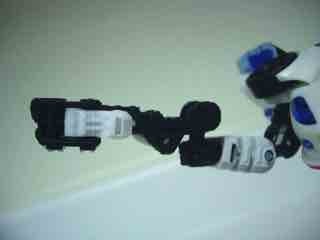 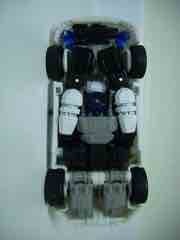 For example, when you move down the front end of the car, his head is geared to move up through a gap and come to life. 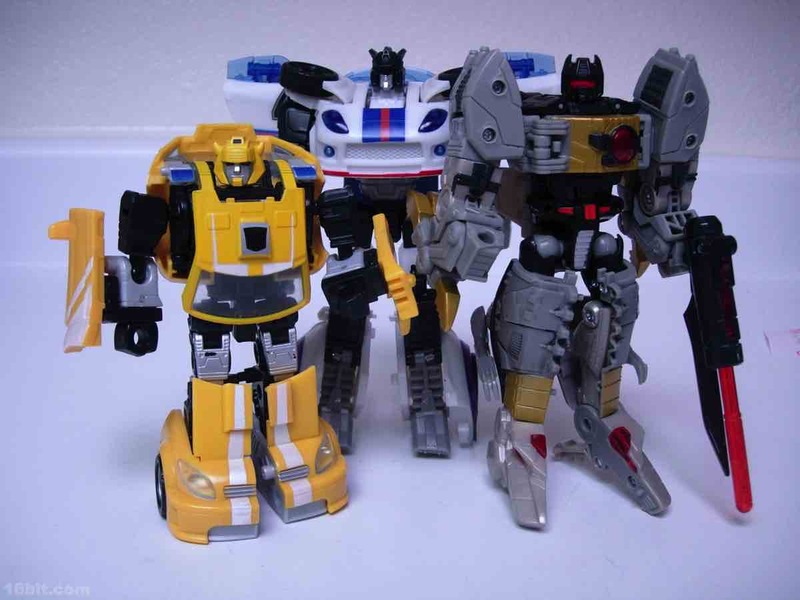 I think mine might have been assembled oddly as he seems to look down slightly, but hey-- it's a fun feature and much like Sideswipe/Sunstreaker in 2008, it really does help make the character feel like it's alive a little, despite being a plastic plaything based on a goofy TV show/comic/toy line from nearly 30 years ago. While no known plans exist for a redeco, a lot of collectors are already talking up possible candidates for new heads and new characters to be built off this body. 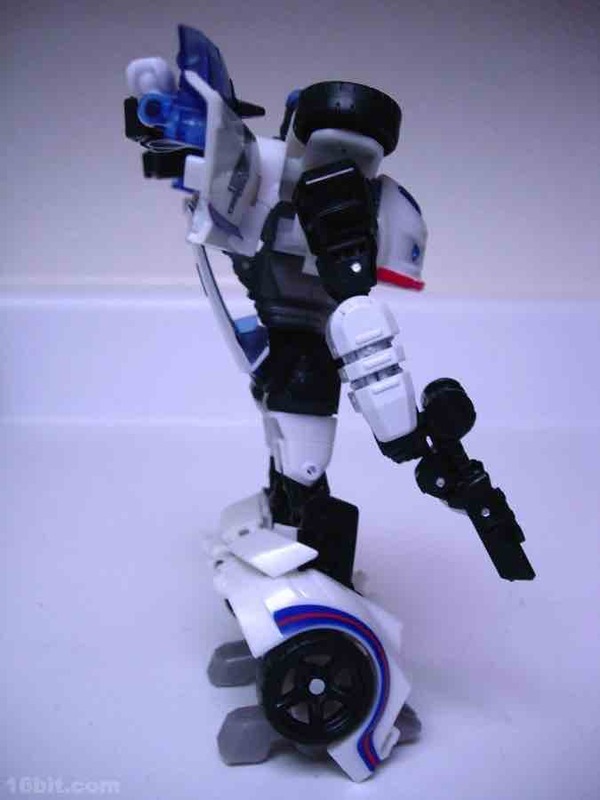 Since he has no problem holding the Targetmaster Nightstick, the obvious redeco is Stepper (also known as Ricochet), a Japan-only character that went from holy grail to worth a heck of a lot less after a recent reissue sold poorly in the USA and Japan. Still... it'd be a nice tribute to a great old Targetmaster. 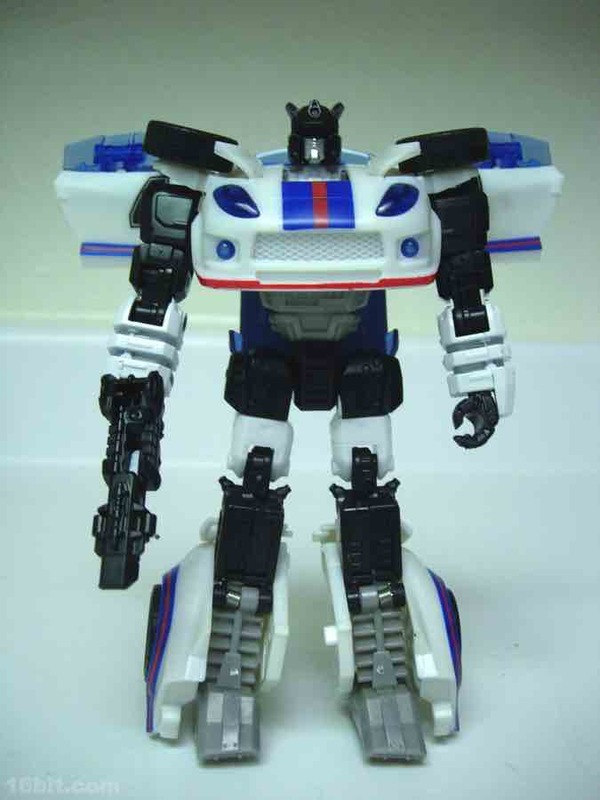 The last thing I want to blather about is his gun-- it does fold up for easy storage in car mode, so you won't lose it unless you really, really want to. 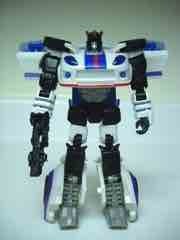 It looks a little bit like a previously released Pretender Jazz' weapon, which is just as good of a choice as any. 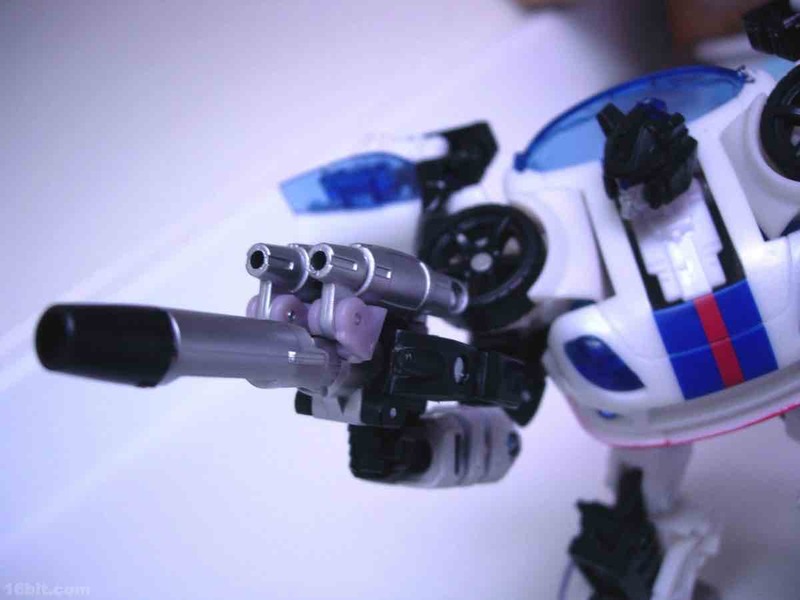 The weapon also has tubes for c-clamp weapons-- such has his speakers-- to latch onto, creating an even larger weapon that, presumably, sounds awesome.